A federal corruption trial that has exposed extraordinary abuses by a rogue Baltimore police unit took a surprising turn on Monday, when an officer testified that he'd stolen money with a detective who was later shot to death a day before he was to testify against his colleagues. The November killing of Detective Sean Suiter remains unsolved, fueling speculation that it was connected to the corruption case. Police officials have said there is no evidence of that. 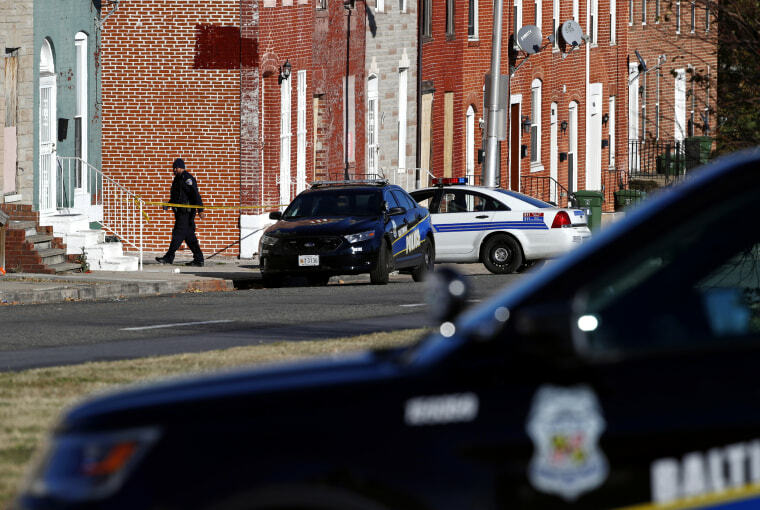 But Monday's developments could further complicate the Baltimore Police Department's efforts to regain public trust and control crime. The force is already under federal oversight for a pattern of unconstitutional street stops while dealing with a murder rate that spiked to record levels last year. And the city's police force is now being led by a newly appointed commissioner who reportedly wants to bring back plainclothes units to target gun and drug offenders ─ work similar to what the rogue unit did. That unit, called the Gun Trace Task Force, was disbanded last year after members were charged with robbing drug dealers, conducting illegal searches, claiming unearned overtime and trying to cover up their crimes. Of the eight who have been indicted, six have pleaded guilty, including four who agreed to take the stand against the two now on trial. So far, in two weeks of testimony, witnesses have described officers peddling garbage bags full of drugs looted during the city's 2015 riots, selling seized drugs and guns, committing armed home invasions, and roving the city for new victims, according to coverage by The Associated Press. Some of the crimes and cover-ups were captured in secretly recorded conversations, portions of which have been played at the trial. One officer described taking $20,000 from the home of a couple detained without legal cause after they left a Home Depot. Another recalled staging a police body camera video to cover up a $100,000 robbery from a safe during a home invasion, according to the AP. On Monday, disgraced officer Momodu Gondo took the stand, adding his recollection of the unit's crimes. Under questioning, he confirmed the names of several officers who he said stole money with him in 2008 and 2009, including Suiter, according to local NBC affiliate WBAL. Suiter, a 43-year-old detective and former member of the Gun Trace Task Force, was preparing to testify to a grand jury about his experience on the unit when he was shot to death with his own gun in November, officials have said. While the timing of the murder seemed uncanny, former Commissioner Kevin Davis said at the time that Suiter was killed after an encounter with a suspiciously behaving man while the detective was investigating a triple murder, and that he was not a target of the corruption investigation. The dead officer's name has also come up in connection with a 2010 arrest by members of the Gun Trace Task Force. In that case, Suiter found drugs in a car that prosecutors say were planted. Davis has said that Suiter was duped into making the discovery, according to the AP. A Baltimore police spokesman said in an emailed statement Monday that the department was "monitoring" testimony in the trial, and would "continue to work with the FBI in reference to the claims made by the various' defendants' testimony." Last week, newly appointed Police Commissioner Darryl De Sousa told The Baltimore Sun that he was considering putting more plainclothes units on the streets.